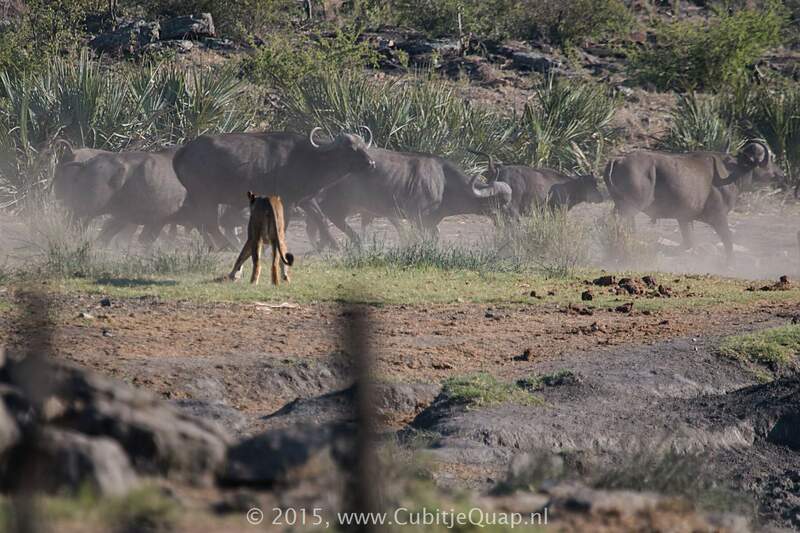 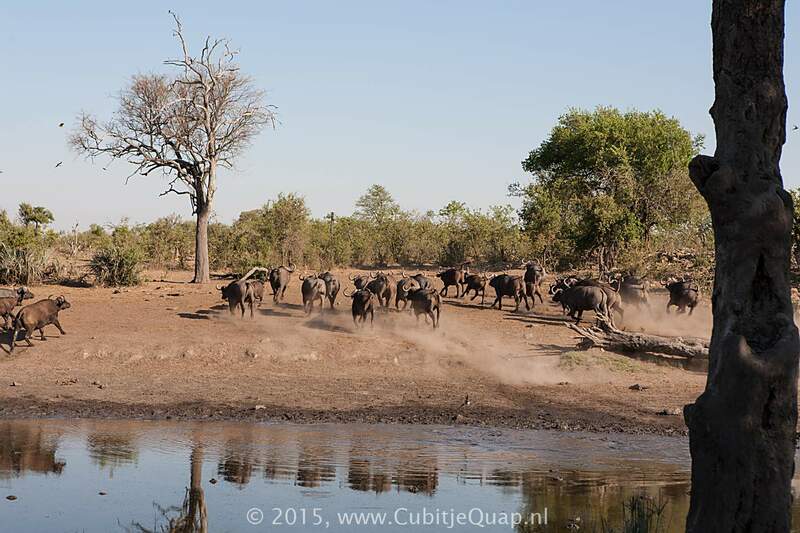 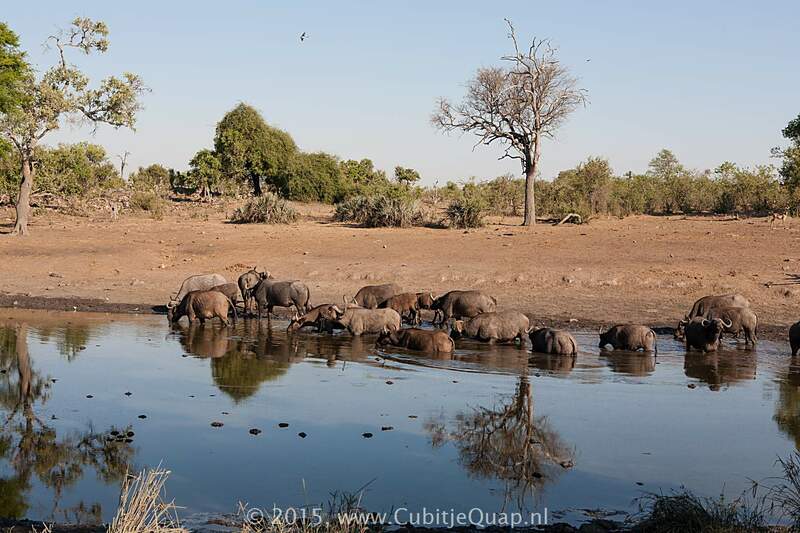 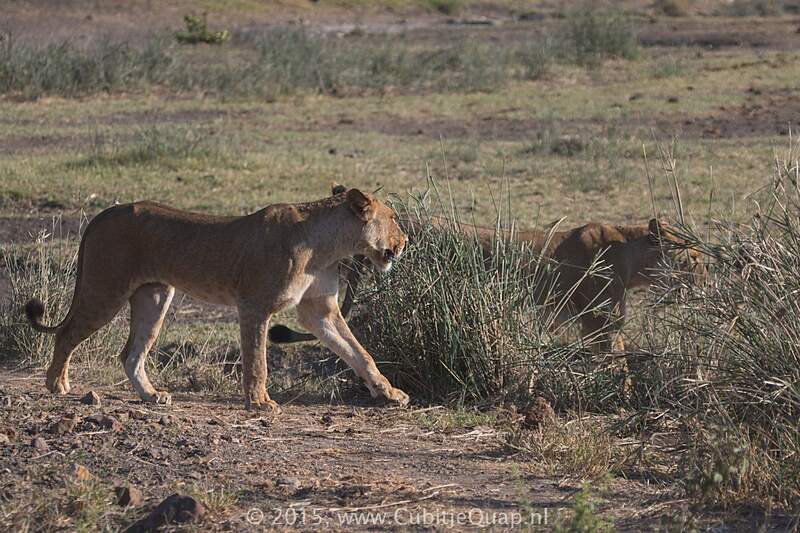 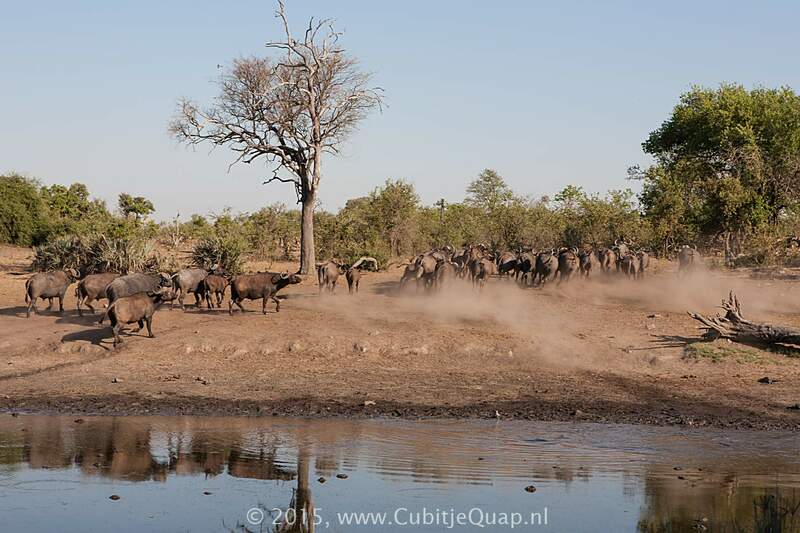 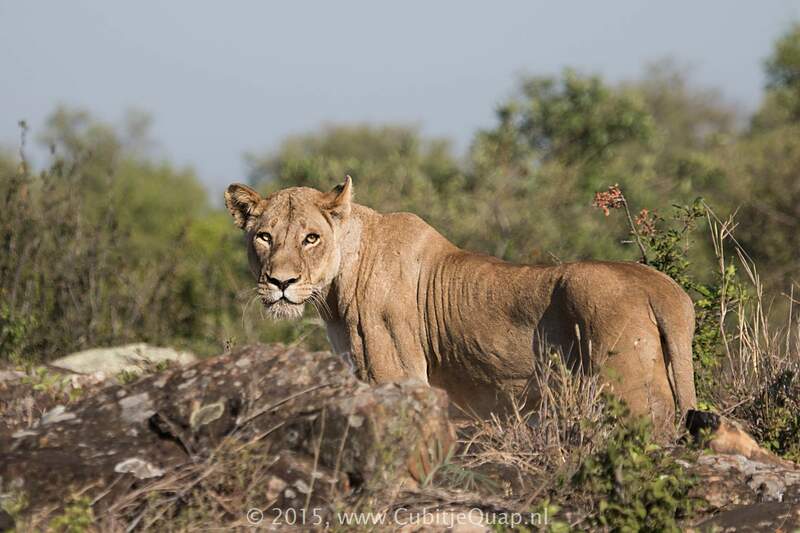 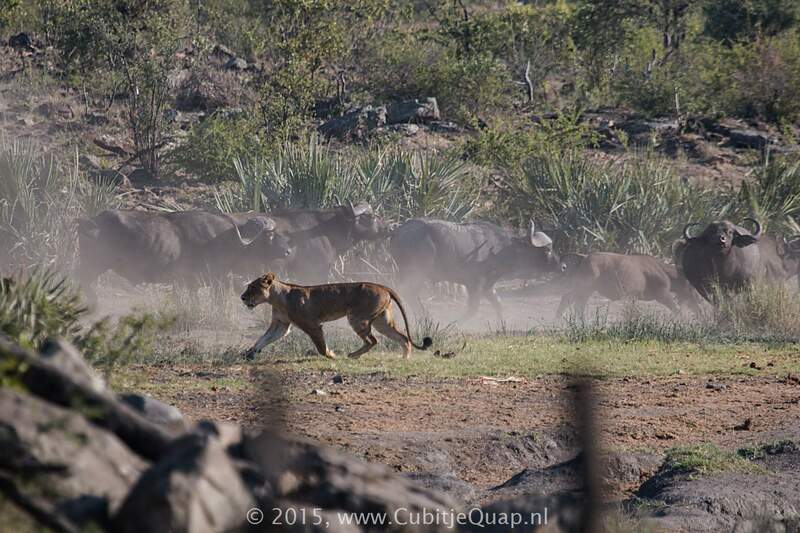 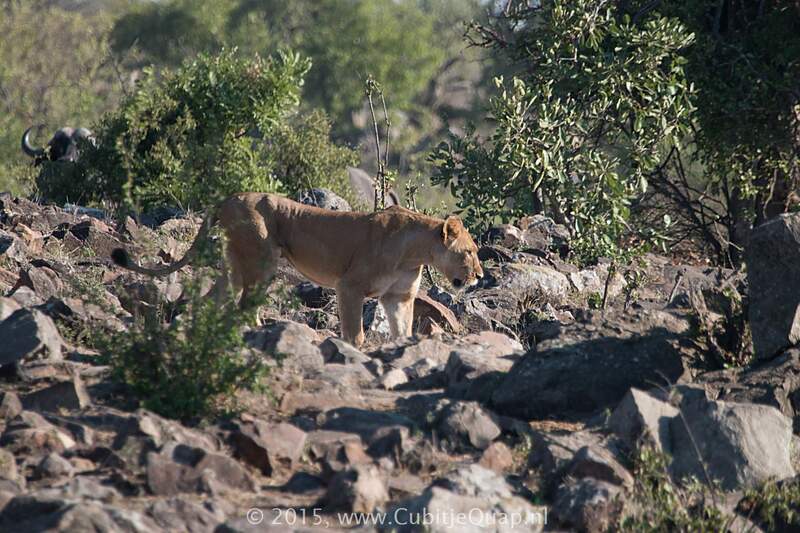 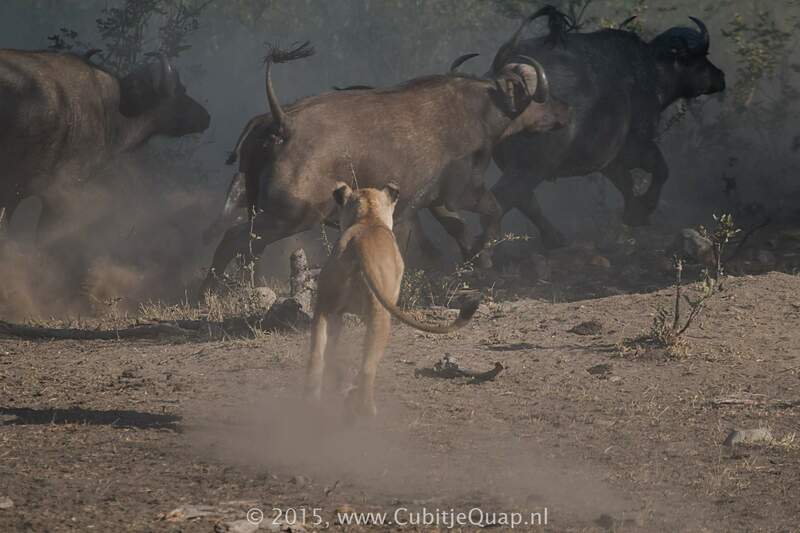 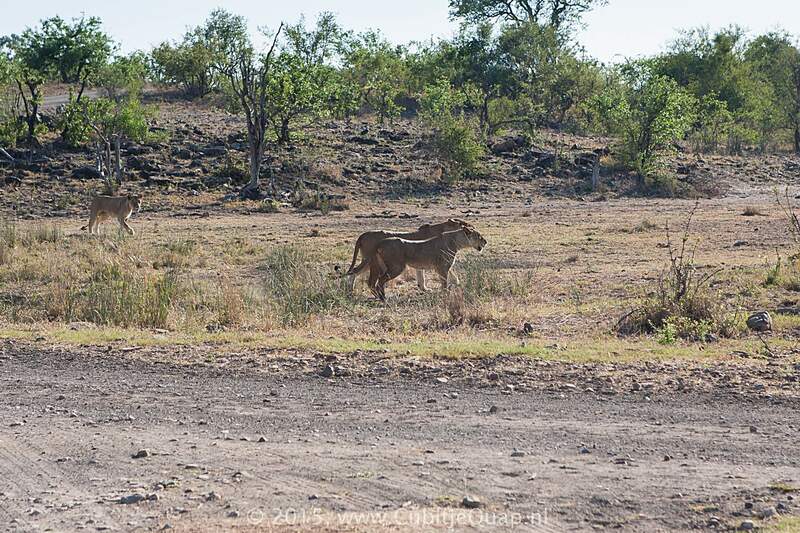 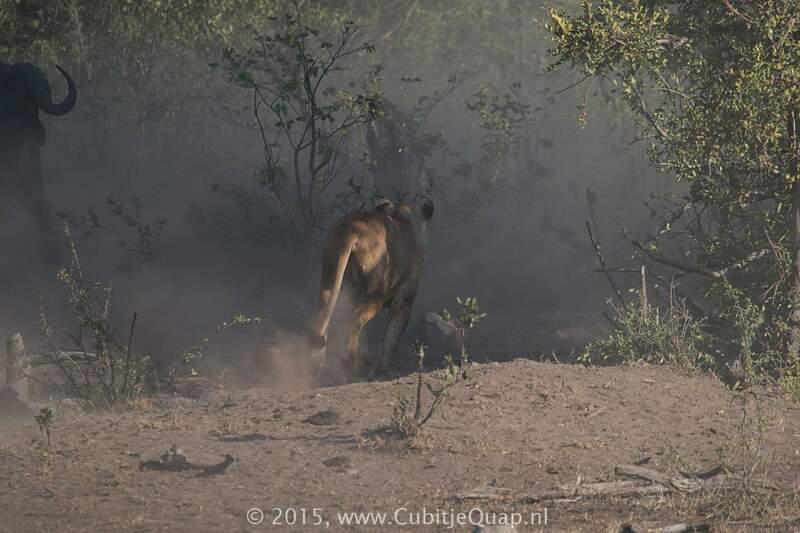 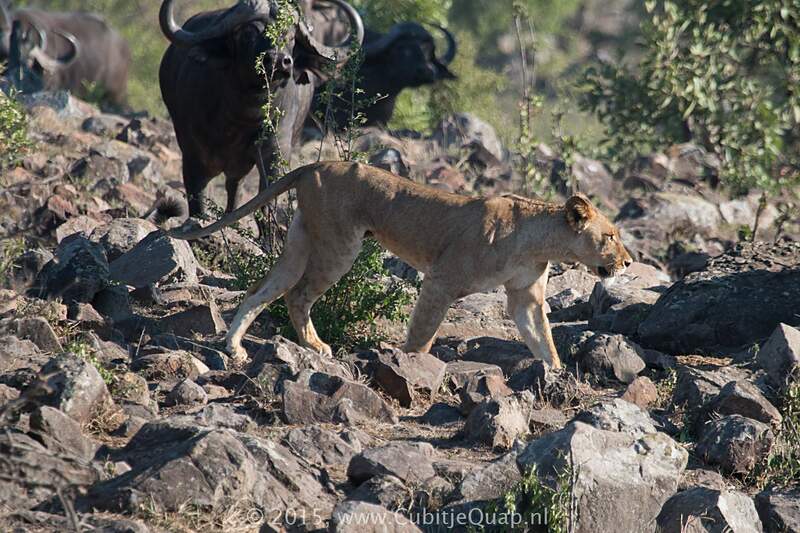 A herd of buffalo were drinking at Klopperfontein, when a group of three lionesses sneaked up for a kill. 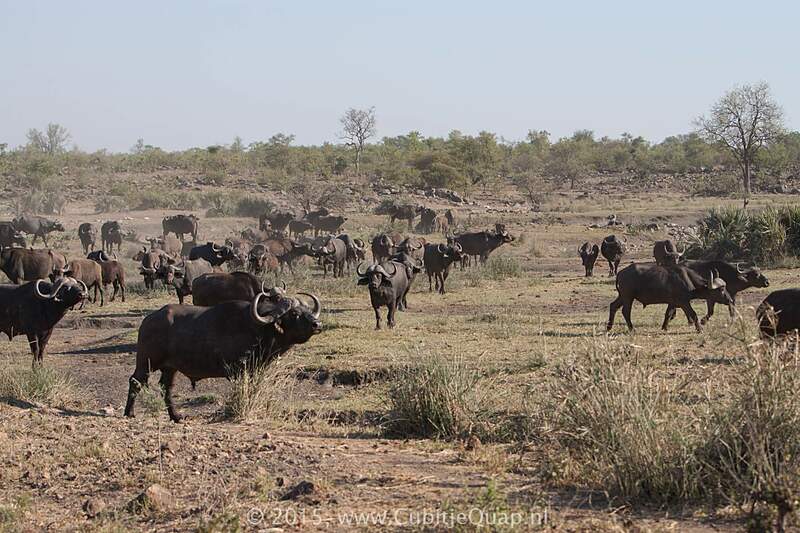 The buffalos scattered. 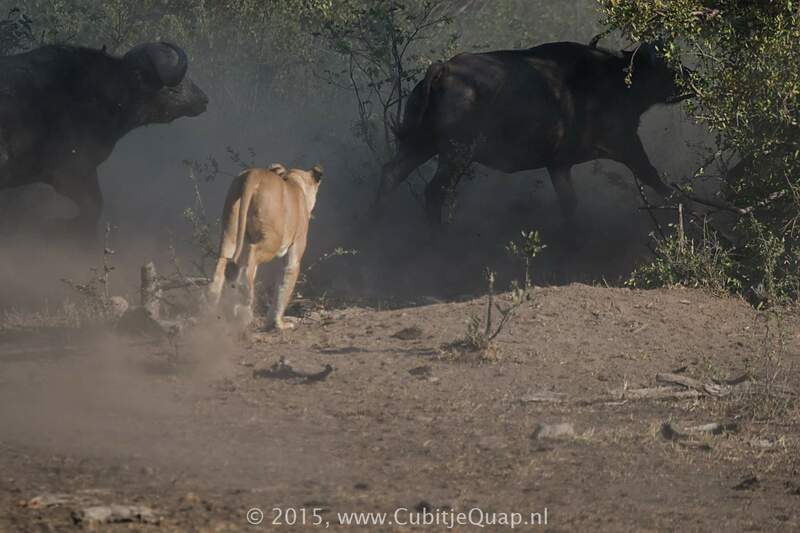 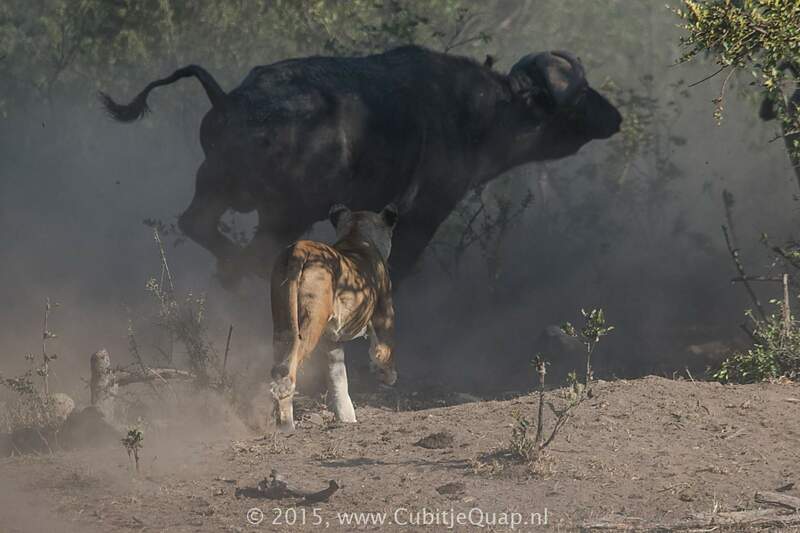 Soon afterwards the bufflos regrouped, chasing the lions.